Fonzie is a very sweet 13 year old cutie who is looking for a place to spend the rest of his life. 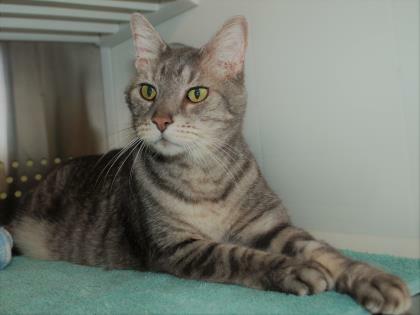 If you would like to care for this dashing boy and have him be your one and only, please stop by and meet the Fonz! Fonzie has some medical needs but he really would like to be someone's best bud. How can you resist that face! Wait til you see him person! What a guy! Join KHS and many other rescue organizations for a day of everything animal! 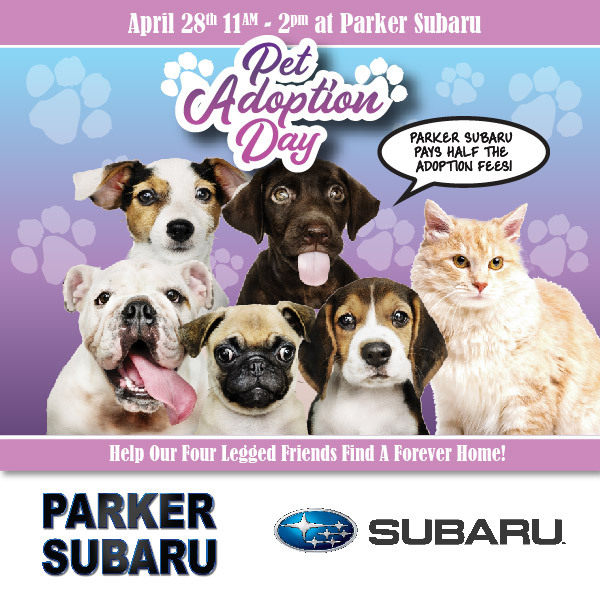 Entertainment, food, loads to purchase for your pet, and of course, adoptable animals for you to visit! Govt. Way & Kathleen Ave. 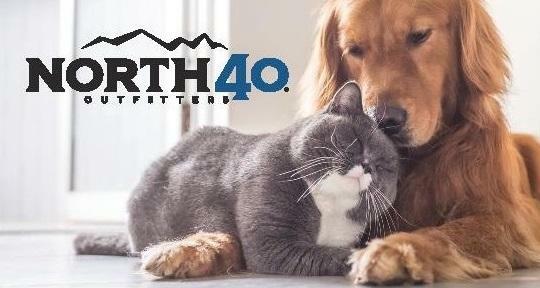 The staff of North 40 is helping KHS celebrate our 40th Anniversary by holding an adoption day and supply drive! Stop by and visit with the animals, purchase some much needed items for the homeless animals, and do a little shopping for yourself! 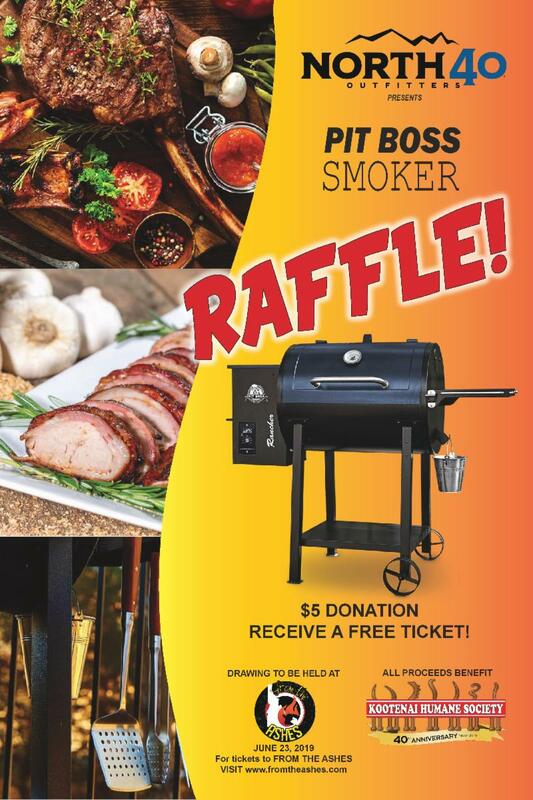 for a PIT BOSS SMOKER! For a $5 donation to KHS, you'll get your name entered to win! The pit is on display at North 40! Drawing to be held on June 22 at From The Ashes event. KHS will be celebrating all year long with many events highlighting our two, three, and four-legged friends. Visit our website for a schedule of all the festivities that are being planned! If you have a story of an animal adopted from KHS that you'd like to share, please let us know! We'd love to highlight it! 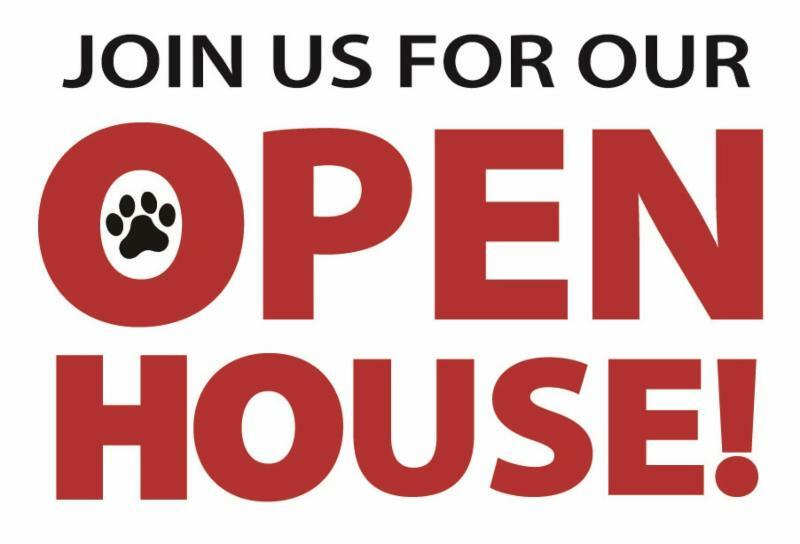 MARK YOUR CALENDARS for this year's Open House! Come celebrate our 40th Anniversary with lots of fun, free food, entertainment, vendors, and furry friends! If you are interested in a vendor space, contact Kelly at volunteers@kootenaihumanesociety.com for more information. 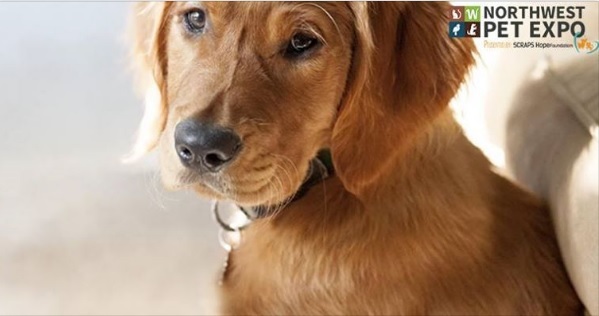 Kootenai Humane Society has been serving the Coeur d'Alene area for 40 years. We have been practicing the No-Kill Philosophy since 2003. Thousands of unwanted, abandoned, and unhealthy animals come through our doors each year. It is our privilege and our passion to care for and find all of them loving, forever homes. Thank you for your continued support of our life-saving mission. SIGN UP TO RECEIVE OUR E-NEWSLETTERS DIRECTLY TO YOUR EMAIL!